The first user of the OpenSocket moments before being fit. Almost five years ago, we started with a big question: can we design an affordable prosthetic arm for amputees in developing countries? We took one step at a time and in October 2011, after three years of R&D, we fit our first two patients with the OpenSocket. We monitored their usage of the OpenSocket for over a year before we gained confidence in the device's usefulness, comfort, and durability. During that same one year period, we also completely reinvented the device. We took what was initially made out of sheet metal and redesigned it with HDPE plastic. This made the device lighter, more comfortable, and more affordable. As of today, I am happy to report that we now have 93 users of the OpenSocket prosthetic arm in partnership with over 20 health-focused organizations in 10 different countries! As our OpenSocket program grows and scales, we are ready to move our production of plastic components to a nearby factory in Paxton, IL. We simply cannot continue to meet the demand for the OpenSocket if we continue to manufacture in our office at the Research Park, so this marks a major milestone for our organization. We look forward to continued support from friends and donors as we make this transition, incur new manufacturing costs, and fit our next 100 patients. 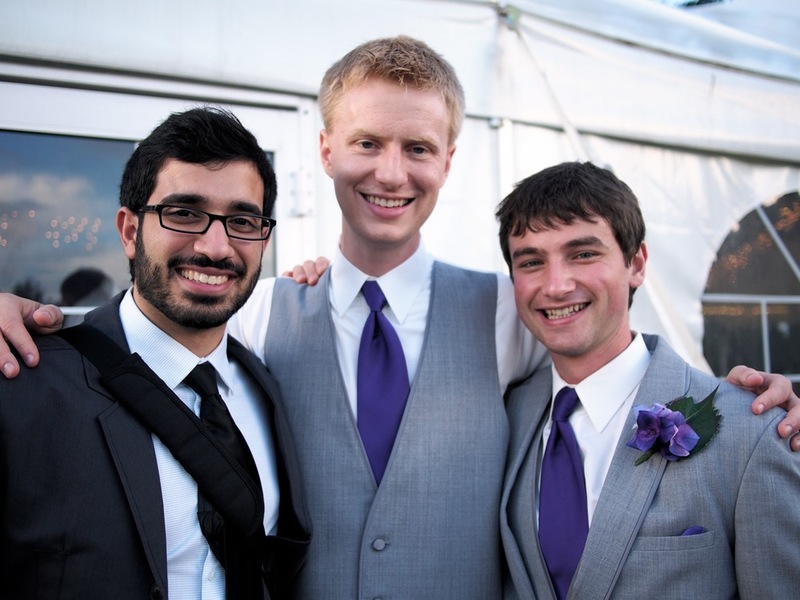 I began my summer of 2013 on a team full of widely experienced interns at Bump. The project I decided to join was set out to design a brand new product: a child-sized prosthesis! I submersed myself into published articles and read all about child prosthetics, case studies and research on existing products. I learned a lot, but mainly how much a prosthesis can impact a child’s development process. From there, our team set out to make some prototypes. We initially began by downscaling the OpenSocket. Since then, I have enjoyed collaborating with some industrial design teammates to develop a more creative product. I have learned a lot about the design process from this experience. I am really excited to test out some products at nearby clinics and get some feedback for new and better prototypes. I am hopeful that interacting with child users will be able to give us a lot of tips for improvement. This project has been such a valuable learning experience and I am extremely excited to learn more through rest of the summer and upcoming school year. Amy Momsen is senior in Materials Science & Engineering at the University of Illinois in Urbana Champaign. 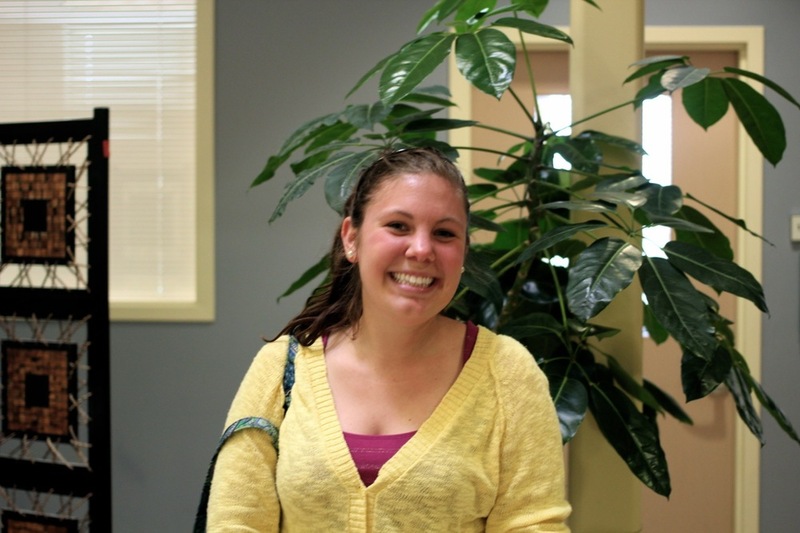 The past year she served as the manager for a LINC project sponsored by Bump at the University. The past couple of weeks have been amazing for a number of reasons: first, two Bump boys got married to wonderful women. I was fortunate to get to jam at both weddings. Second, the OpenSocket made its first splash into South America. Between the two weddings, I had managed to make a 10-day trip to Ecuador and Colombia. The Krupa brothers and Pat Mathay picked me up at the airport in Quito, Ecuador, and hosted me for the week that I was there. Ecuador is a beautiful country full of mountains, cloud forests, and jungles. The city of Quito lies nearly two miles above sea level, which gives it a cool climate that would not be expected in a city that is right on the Equator. 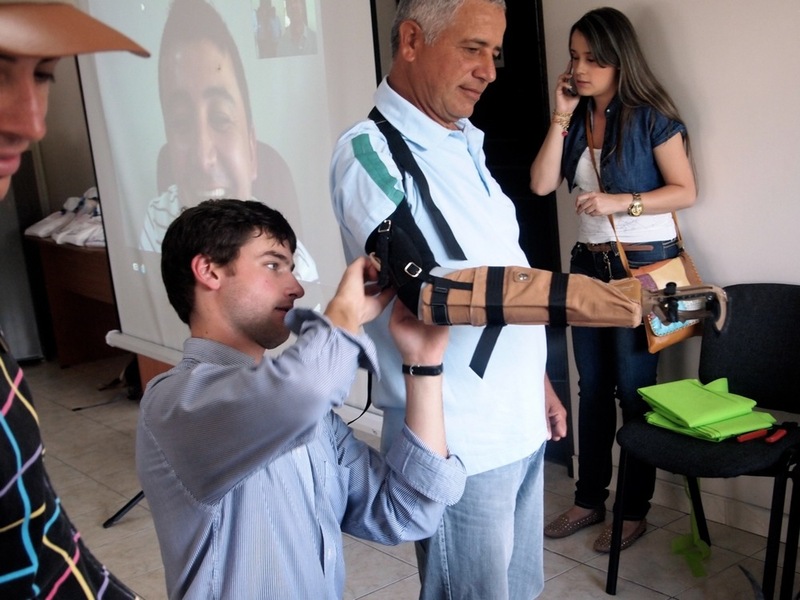 Dave Krupa owns a prosthetics clinic in Quito by the name of Protéus. There he runs his private practice and generously does work for the Range of Motion Project as well. I worked with Dave's staff to fit three transradial amputees with brand new OpenSockets. All patients left the clinic pleased with their new arms, especially impressed by how lightweight they were in comparison to the custom-fit arms they were using before. After a couple of days at Protéus, I spent a day with the inspirational Fundación Hermano Miguel, which is a multi-faceted rehabilitation center for people with disabilities who do not have access to private care. I gave a technical presentation about the OpenSocket to the prosthetics staff, and then watched in awe as they conducted two fittings with very little need for assistance or correction. Leaving the Fundación, all signs pointed towards an expanded, long-term partnership. From Quito I flew to Bogotá, the capital city of Colombia. Bogotá, which has over 8 million inhabitants, is a very beautiful and modern city. As soon as I arrived, I made my way to the Universidad de los Andes where I gave a presentation about the OpenSocket and Bump to engineering students in a prosthetics design course. The course is being taught by Michael Morely, a long-time friend of Bump. After wrapping up class, Michael and I went to Laboratorio Gilete, a private prosthetics clinic. There I gave a technical presentation and helped the staff to fit three patients (one of whom had a bilateral amputation). In less than two hours, we were finished with the four OpenSockets. The staff certainly was excited about the fundamentally shorter time it takes to fit a patient with Bump’s technology. The next day Michael and I visited Centro Integral de Rehabilitación de Colombia, which provides rehabilitative care as a nonprofit organization. There we had a great talk with the scientific director who vowed to try out the OpenSocket with a couple of his patients. We are going to coordinate a shipment of a couple arms to him very soon. My final day in Colombia was a powerful one. I flew to the city of Pereira, which is located in the coffee growing belt of Colombia. There I was received with unparalleled hospitality by the Trauma Heroes Association of Colombia. After a delicious breakfast, we proceeded to a community center where there were many speeches and presentations that interspersed the two OpenSocket fittings. The Colombia founder of the organization even Skyped in to the event from Spain to see how things were going. It was an incredible day, to cap off an incredible trip. I have no doubt that several of these organizations will keep using the OpenSocket, and help Bump to reach further into South America. After flying thousands of miles, fitting a number of amputees, and busting some serious dance moves, I am back home in Guatemala. Thank you to all of our partner organizations and sponsors for bringing the OpenSocket to those who need it the most. Aside from the OpenSocket, the bump team is working adamantly to break ground in a similar device for children. An affordable prosthetic for children would be ideal since children are rapidly growing, therefore quickly out-growing the expensive traditional device. We are trying many different types of designs and materials and hope to create the perfect device soon. Me: Okay, really guys, what part of candid do you not understand? You're not supposed to model for it. In all seriousness, we are very excited to be working on a youth-sized OpenSocket with support from the National Collegiate Inventors & Innovators Alliance. Expect more updates in the coming months.